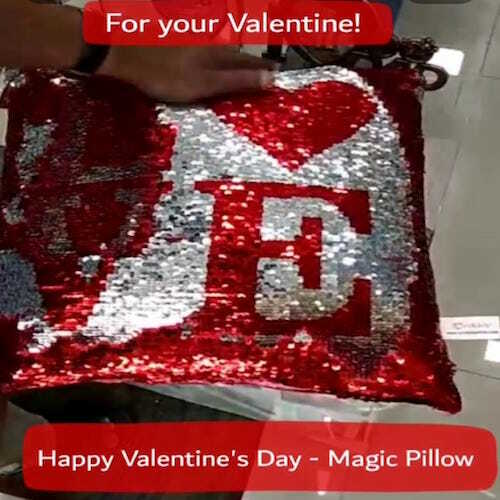 SKU: SKUMAGICP1 Category: Valentine's Day Gifts. Tags: birthday gifts for her dubai, cushion printing dubai, customized bracelet dubai, customized gifts, dubai gifts for her, Dubai gifts for him, gift basket delivery dubai, gifts for girlfriend in dubai, gifts for her dubai, gifts for him dubai, Magic pillow with photo in dubai, mug printing abu dhabi, mug printing dubai mall, online gifts for husband in dubai, personalised return gifts dubai, quirky gifts dubai, send birthday gifts online to uae, unique gifts dubai. Conveying YOUR love Mohbatly! نقل حبك موهباتلي! Delivering YOUR emotions! تقديم العواطف! Beautiful flowers also can be given as gifts. check out what are the options. While you are ordering gifts for valentines day, please note that 7th Feb to 14th Feb is Valentines’s week each day conveys each message. Your one stop shop for all Personalised Gift needs!!! Online Gifts Delivery in Dubai, UAE. Shop online & send gifts to your dear ones in Dubai, UAE. Powered by SysNica Technologies Pvt. Ltd.